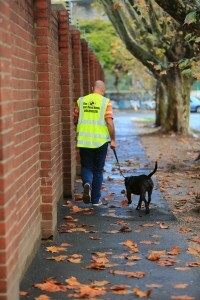 Every year, six million Australians volunteer with a range of organisations in their local community. While their helping hand goes a long way, often volunteers say they too benefit from the experience. In fact, studies show that volunteering is actually good for our mental wellbeing – something our volunteer from the Sacred Heart Mission, Raf knows intimately. Each week, Raf heads along to our North Melbourne shelter, slips on our dog walkers vest and signs into our log book before heading out to our dog adoptions area to meet his walking companion for the day. After showering his dog with lots of pats and praises, Raf attaches the appropriate harness and lead before heading out for a stroll and sometimes jog along a nearby creek down the road from our shelter. “I’m one of those people who cannot pass a dog on the street without saying hello, so I just love the chance of being able to play with them here at the Home,” he says as he gives his dog a big cuddle. “There’s just something great about walking dogs. I guess it takes your mind off things you know? 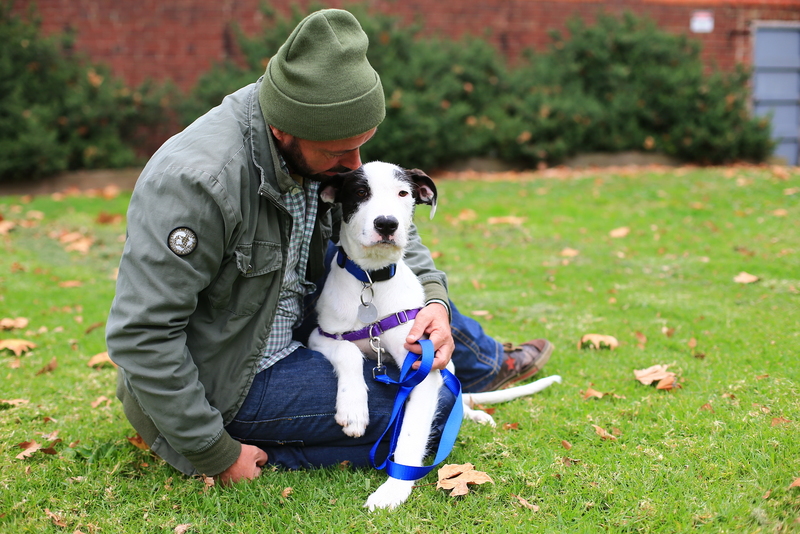 Through his dedication to volunteering and love of animals, Raf has in the last twelve months helped many of our shelter animals take confident strides into their new lives. 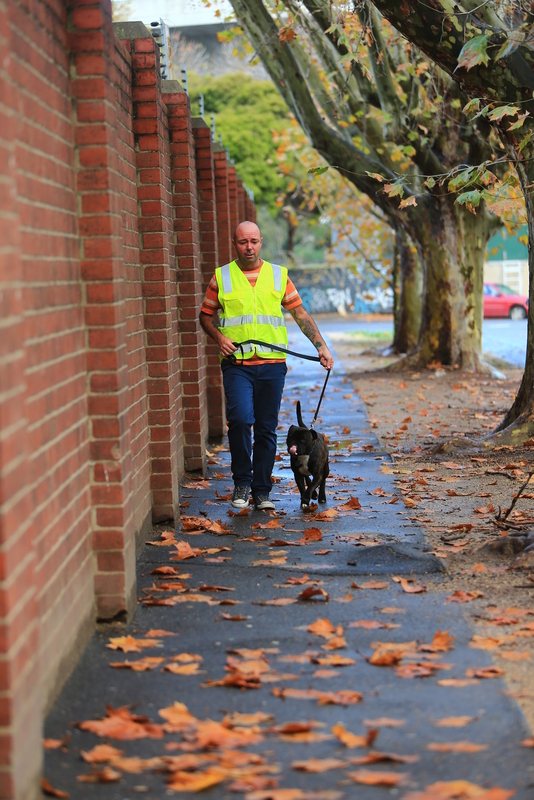 A regular tutor in our Finishing School Program, Raf has played a part in seeing many of under socialised and timid dogs come through the other end. Beneath his beaming smile, infectious enthusiasm and humour though, Raf has been dealing with severe and sometimes debilitating anxiety: “Anxiety has always been a big problem for me — it really ran my life, and still does. Often described as an “invisible illness”, anxiety is the most common mental condition in Australia and impacts the lives of around 2 million people in any given year. While enjoying the company of others, Raf says his condition tended to hold him back from doing some of the things he loves the most: “I love mixing with people but there’s a lot of anxiety involved with that for me. Over the last twelve months however, Raf says a few new factors in his life have helped him start to get a grip on his anxiety. “I’m lucky I’ve got a fantastic counsellor that I talk with who encourages me to keep going out and continue mixing with people. Keen to share the benefits of volunteering, Raf says volunteering is one of the best ways to engage in a community: “The Home’s volunteer program is run by this fantastic guy who’s really understanding of people so I’ve always felt comfortable. “I think the biggest thing about volunteering is that it gives you something to do. When you volunteer you feel like you’re doing something valuable with your life. And the more you do, the more doors open. After a long walk, Raf returns with his walking companion enthusiastically keeping up by his side and looking brighter and happier than ever. As he signs out for the day and heads off, we’re confident Raf looks forward to his next volunteer session as much as we look forward to seeing him again next week. For information on anxiety or depression call beyondblue on 1300 22 46 36 or talk to your GP, local health professional or someone you trust. Visit here to find out about our volunteer and foster care programs.